The Colchester Young Archaeologists’ Club (YAC) met in Colchester Castle park for their May meeting on Saturday (20th May). 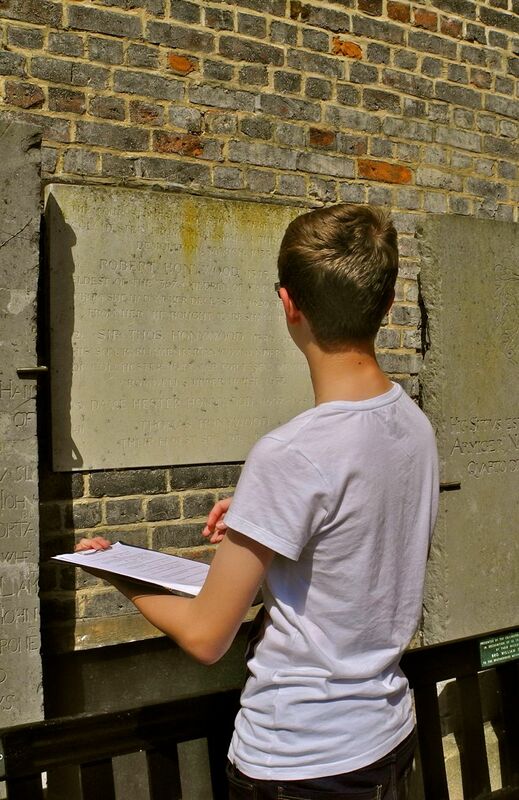 Colchester YAC organiser BB writes: ‘… Mark Davies, a former curator at Colchester Castle Museum, set a quiz for the YAC. 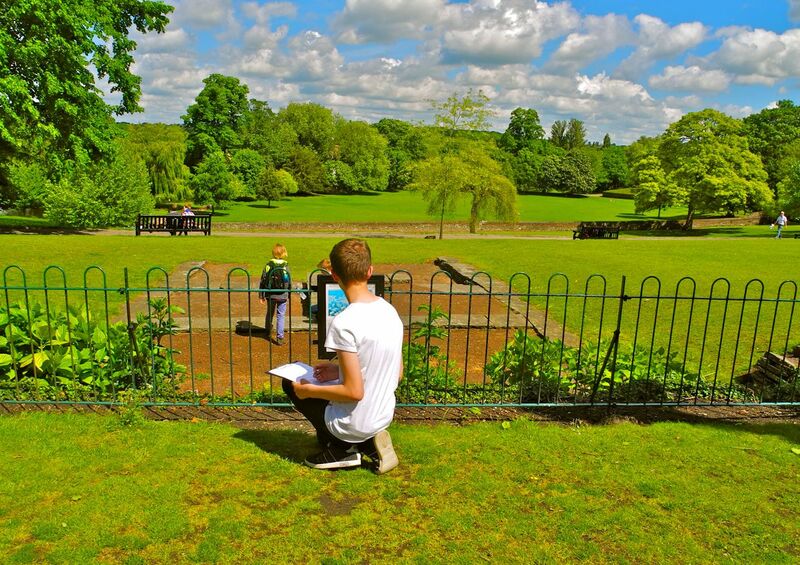 In four teams with five members and a volunteer leader in each team, the young people scoured the park for the answers. One question which intrigued us was the number of descendants attributed to one lady on a memorial… the answer was 367! 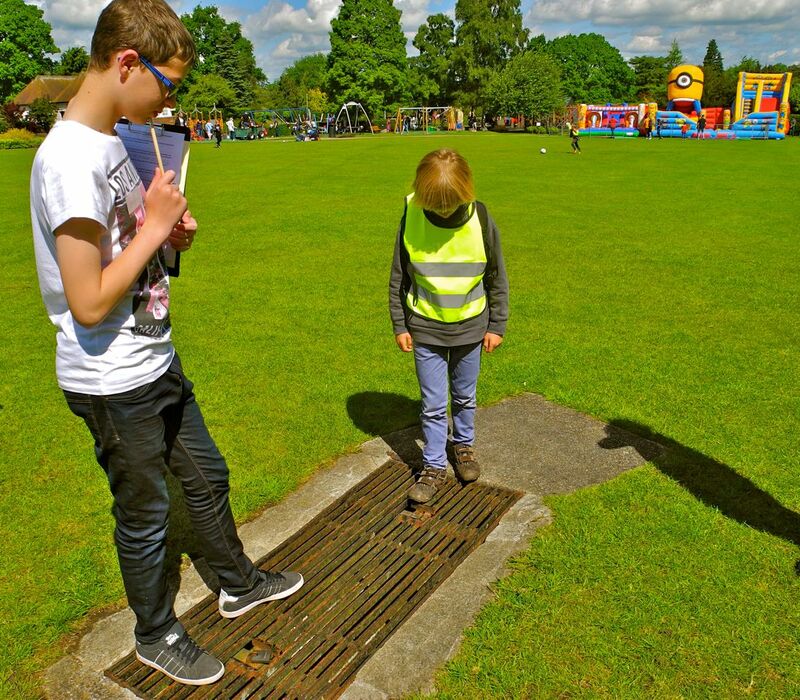 While some YAC members explored the Roman remains in Castle Park, other members studied the information boards to find out which archaeologist excavated the Roman Duncan’s Gate in the 19th century and which famous archaeologist led the dig which revealed the remains of three Roman houses near the bandstand in the early 20th century. From running into Hollytrees Museum to find out when the house was built to exploring memorials for information, the young people rose to the challenge of Mark’s quiz admirably. We all met up in the garden room in Hollytrees House to run through the answers with him. All four teams scored more than 35 points each, with the winning team scoring an amazing 48 points! Everyone who took part was rewarded with a small treat and the winning team shared a box of sweets. Then we all signed a card to send to ASE archaeologist and YAC volunteer leader Kate Clover, who has recently left us. Kate is now working as an archaeological consultant in Bristol. She will be greatly missed by all of us, although we wish her well in her new role. The Colchester YAC hold most of our meetings at the Colchester Roman circus visitor centre and, before the meeting finished, we asked the YAC members if they would like to get involved as volunteers at the Ermine Street Guard event at the Roman circus visitor centre on the 10th-11th June …’. The Ermine Street Guard is a Roman military re-enactment group and they are coming to the Roman circus centre for the weekend of the 10th-11th June. For details of the event, please go to www.thecolchesterarchaeologist.co.uk/?p=36537 . 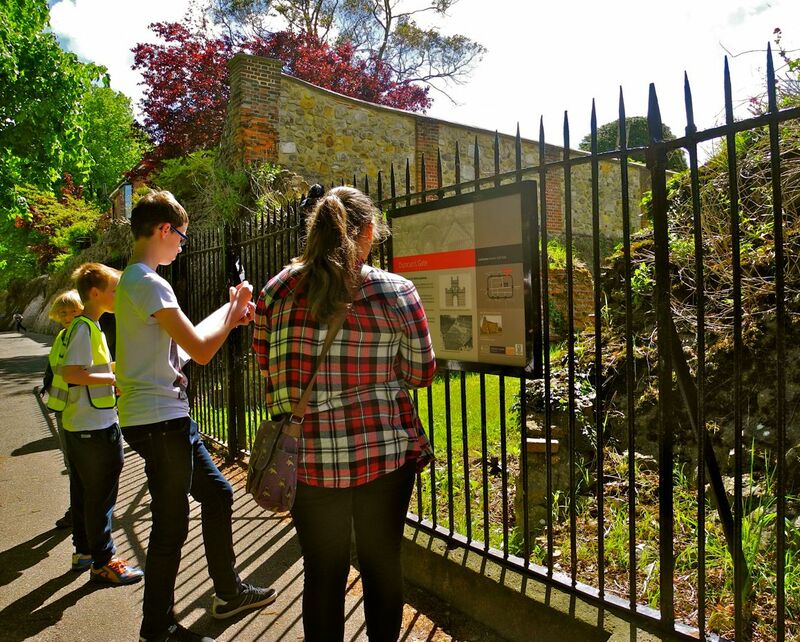 The images show the YAC members on Saturday in Colchester Castle Park: studying the remains of the Roman houses; discovering a Roman drain below the grille; looking for answers on one of the information boards installed by the Friends of Colchester Roman Wall, at Duncan’s Gate; and reading the inscriptions on the memorials. If you are aged under 17 and interested in joining the Young Archaeologists’ Club in Colchester, then please contact Barbara Butler on 07808 968766 or at barbara[at]peterbutlerdesign.co.uk or Barbara Butler, Colchester YAC Branch, c/o the Colchester Archaeological Trust, Roman Circus House, Roman Circus Walk, Colchester, Essex CO2 7GZ.